There are more reasons to shop, eat and play at City Centre Ajman now with a range of new services introduced to enhance the customer experience. The mall, owned and operated by Majid Al Futtaim – the leading shopping mall, communities, retail and leisure pioneer across the Middle East, Africa and Asia – has launched several initiatives, including a porter service at Carrefour to make shopping at your favourite stores even more convenient while it undergoes an extensive AED 600 million revamp. 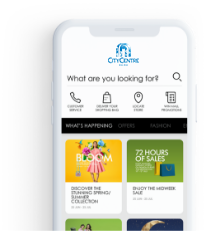 “Here at City Centre Ajman, we evolve to address the changing expectations of our customers to offer an unmatched experience every time they visit. We are delighted to add new services that will create great moments for everyone every day,” said Abdulhamid Bukhashem, Senior Mall Manager for City Centre Ajman. Taking entertainment to the next level, City Centre Ajman will also be hosting Channel 4 radio for a road show until October, giving shoppers an opportunity to interact with famous radio presenters’ RJ Omar Halabi from Radio Al Rabea and RJ Kritika from Radio 4. A variety of facilities are provided to make all visits to City Centre Ajman straightforward and easy. Leave the stress of driving the car to mall and hop into a taxi, and let City Centre Ajman pick up the tab. Shoppers who catch a cab to the mall and spend as little as AED 50 in any store will get an AED 50 cashback when they present both bills at the customer service desk until November 9th. The mall will offer the cashback to the first 25 shoppers who can present their receipts everyday. Addressing the need for better signage in the temporary parking lot during the redevelopment, the mall management has drawn up better markings and set up bollards to demarcate legal parking spots and non-parking zones, added more parking spaces and deploy traffic marshals, as well. Offering unparalleled customer service for everyone, Carrefour, porters will push customers’ trollies back to their cars to save them getting hot and bothered in the stifling summer heat. Free Wi-Fi is available throughout the premises with Majid Al Futtaim’s MallConnect service. The mall has 11 ATMs, some of which also accept deposits, and branches of money exchange bureaus Ansari Exchange and UAE Exchange, which open from 8.30am to midnight throughout the week. When it comes to shopping, City Centre Ajman has something for everyone. Centrepoint is the place in which to shop for the latest fashion, footwear accessories and beauty products. Home to the brands Babyshop, Shoe Mart, Lifestyle and Splash, it sells items to suit everyone, from infants to adults. For a chilled treat, head to Carrefour hypermarket’s Baskin Robbins ice-cream counter, which serves up scrumptious scoops of frozen delights. For more healthy treats elsewhere in the mall, they can opt for Pinkberry for frozen flavoured yoghurt. City Centre Ajman is the only place in the emirate that sells this popular American brand, and the variety of flavours makes it well worth the trip. VOX Cinemas’ multiplex shows the latest Hollywood, Bollywood and Arabic-language films, welcoming 2,500 customers each day. Its nine screens include the mega-sized Max and state-of-the-art 4DX for a truly immersive experience. Little ones can let their imaginations run riot in the special kids’ screening room, the first of its kind in the region. A concept just for children, the brightly coloured theatre features all the latest animation, action and adventure films. Family entertainment centre Magic Planet has attractions to suit all ages. Recently opened, the entertainment zone houses arcade games, a high-tech racing simulator and timeless classics such as bumper cars (‘dodgems’).